America is full of entrepreneurs and many people can successfully run a small business for many years. However, most small business owners do not have a retirement plan. They rely on selling the business as a means of retirement. A recent survey showed that 75 percent of participants age 18-64 have saved less than $100,000 for retirement. Only 32 percent of people age 45-64 have saved over $100,000 for retirement, while only 11 percent have saved more than $500,000. The survey also showed that 29 percent of business owners between 45-64 had a 401(k) savings account and 34 percent had either a Roth or Traditional IRA. Those numbers are alarmingly low. So, why don’t more business owners save for retirement? For many, it is because the business itself is the owner’s retirement plan. 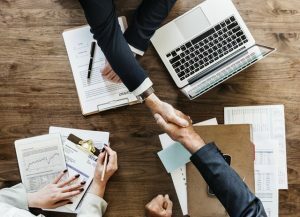 When the time comes to retire, they plan to either sell the business or transfer it to a family member in exchange for a buyout or a share of future profits. This is a very risky plan. If the business fails the, owner has no money and no plan for retirement. This approach also does not account for disability, health issues, or early death. Many small business owners can’t save because all their money goes right back into the business. For owners to diversify their wealth, they must take money away from their business and many people are unwilling to do that. Another reason many small business owners struggle to save is because their business is very modest. More than half of small business owners reported that they think their business is worth less than $500,000. Owners need to work on their business without spending too much time working in the business. If the owner is so active in the business that it can’t’ run without him, there is a problem. The owner will have difficulty valuing the business or even finding a buyer. There will also be issues generating an income without the owner actively working. Here are five tips to help small business owners save for retirement. You need to have an idea of how much you will need to live on. Understanding your living costs will make you realize how important retirement savings really are. Many large financial services firms offer free retirement planning worksheets and calculators to help you. Consider hiring a professional to help with your goals. A Certified Financial Planner can help you set realistic goals and stick to your plan. SEP-IRA This retirement plan is tax deductible and is a great option if you are the business’s only employee. Note however, that if you have employees you will generally be required to fund SEP-IRAs for them as well. Simple IRA- A good choice for owners with 100 or fewer employees. Contributions are taken directly from employee paychecks before tax. Solo 401(k)- This plan is for self-employed people with no employees. One exception is that a spouse may work for you. Simple 401(k)- This plan works well for businesses with 100 or fewer employees. In the event of financial hardship, you or your employees may borrow against the money in your 401(k) account and withdraw money penalty free. For investing, choose a diverse mixture of low-cost index funds. There are three types: an index fund that owns the broad US bond market, a fund that invests in the whole U.S stock market, or one that owns a mixture of developed foreign stock markets and stock markets that are still emerging. Even simpler, you can choose to invest in a target-date fund. It automatically adjusts the balance of stocks and bonds based on your age. All you have to do is choose a target-date fund based on the date you wish to retire. Now days, providers target small businesses directly with 401(k)s designed for a small business. One example is Capital One’s Spark 401(k) that provides low cost, ETF 401(k) plans for businesses with 100 employees or fewer. It also offers access to retirement planning experts online. If you are ready to take the next steps toward a secure retirement, contact Blisk Financial Group and let our experienced team help you.